A Deaconess at the Divine Touch Parish of the Redeemed Christian Church of God, Eunice Elisha, was murdered by unnamed suspects while she was preaching around the pipeline area of Kubwa, a satellite town of the FCT on Saturday. 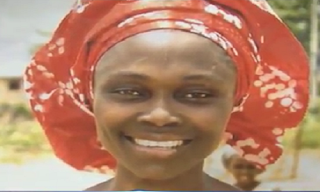 Eunice, a mother of seven, was cut in the neck and stabbed in the stomach. Her husband, Olawale Elisha, who is also a pastor at RCCG, told journalists that his wife had gone out to preach in the neighbourhood at about 5am and never returned home. “My wife always goes out early in the morning for ‘Morning Cry.’ There was a particular day she went out and she told me that there is a mosque at the back where they commented about what she said. So I just cautioned her. “I went to the station with my children and when we got there, I saw the lifeless body of my wife at the back of the police van and from there, she was taken to the mortuary. The incident happened between 5am and 5:30am because she usually goes out 5am and comes back 6am.” He said. The deceased, according to her husband was born on July 23, 1974 while he got married to her on July, 2000. Some residents of the area where Eunice was killed, speaking under anonymity, said they heard the woman preaching in the morning, before her voice faded off, followed by screams. “I heard her voice as usual in the morning around 5am preaching and at a point, her voice faded. “By the time I woke up to start my morning chores, I started hearing people say that a dead body has been found in my area. “On getting there, I discovered that it was the body of the woman preacher. She is such a nice and jovial person, she doesn’t deserve to die at all and if at all, not in that manner,” a source said. “She was practically slaughtered. Her legs were injured and she was lying in the pool of her own blood before policemen came to evacuate her body,” he said of how the woman was murdered. Another resident simply identified as Idris said: “I heard her preaching today like every normal day. “Later on, I heard someone screaming but because of the security situation in the country, I decided not to come out. Also, the head of security outfit in charge of the area, Sam & Co, Mr. Sam confirming the gruesome manner Eunice was killed said: “I saw a deep cut on one side of her stomach and her leg. “She was not stabbed. I feel if she was stabbed, we would have met her gasping for breath. But when we got to her place because we heard someone shouting blood of Jesus repeatedly, she was already gone. “This is a woman who preaches every morning. She always admonishes people to repent and that the kingdom of God is at hand.